Since the dawn of time, the Levant has been in the heart of the fertile crescent, the crossroads of the Old World. Prior to recorded history, civilizations have come and gone, leaving their ruins for the generations to come. Each culture left its mark on this ancient lands; to this day, in Lebanon, Syria, Jordan, and Palestine, one could see the edifices of those who preceded us. And, like all civilizations, the modern people of these countries are building edifices to point out that they too have been here. This innate need to leave a statement in buildings is something common between all humans across the ages. There is a word that describes it and that is architecture. To some, it is just a building, but to others it is a piece of art that tells a tale throughout time. Out of the countries in the Levant, Lebanon stands out with its landmarks from the time before the Greeks until our modern day. Here are the different designs of some of the most iconic Lebanese buildings of all time. In times of antiquity, all the Mediterranean basins were under Roman law. With that in mind, Roman architects from all over the corners of the city-turned-empire have contributed awe-inspiring temples to the Gods throughout its domain. 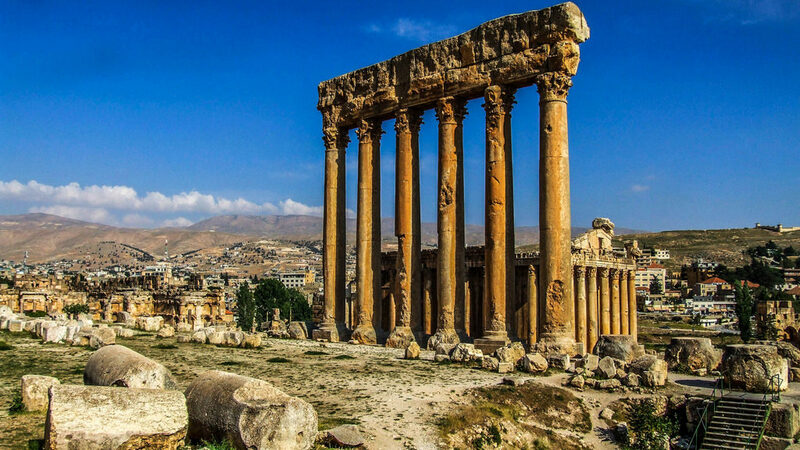 Lebanon was no different, and one of its prized landmarks that stand as a witness of Roman architectural ingenuity is the Baalbeck Roman Site. The Roman temples there are one of the most well-preserved in the world. The city has been made a UNESCO World Heritage Site, and some have been described as being “the finest example of imperial Roman architecture”. 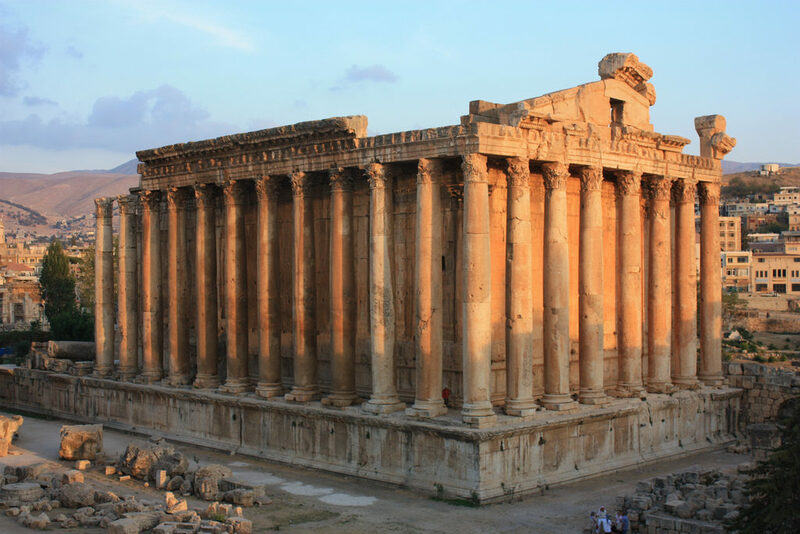 With six Corinthian columns left of the 52 original ones, the 22-meter high Jupiter Temple stands on a podium in the midst of Baalbeck surrounded by other smaller temples. An example of how complex and beautiful Roman architecture is. During the crusades, innumerable knights from all over Europe came to the Middle East and despite the nature of the purpose they had, many of them chose to stay and establish what was later known as the Crusader States. Architects from Medieval Europe established Gothic castles and monasteries that are still standing to this day. These stone castles include the Castle of Tyre, Beaufort Castle, Moussa Castle, and Sidon, the sea castle. Sidon, in particular, is one of the historic landmarks of Lebanon with Greek and Ancient Egyptian influences that can be seen at every corner of the city. 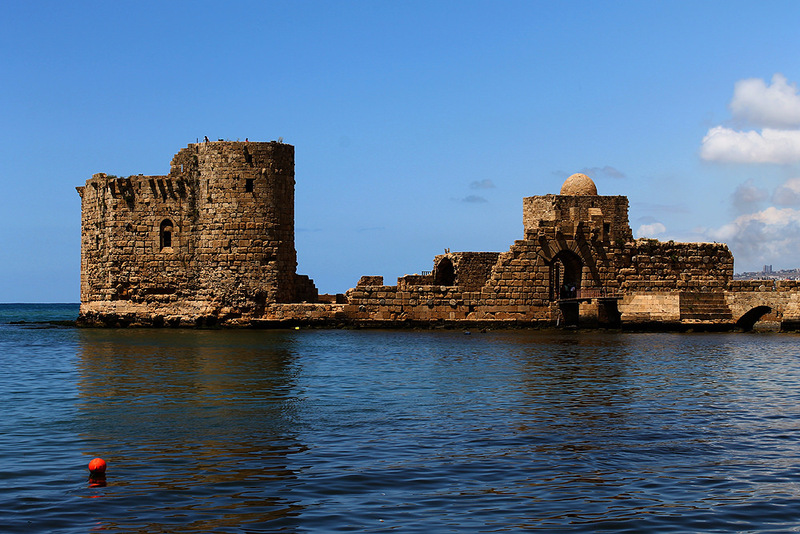 The Castle of Sidon was built by Crusaders in 1228 on the ruins of a Phoenician shrine dedicated to the Goddess Melkart. The castle is 80 meters from the beach connected to it by a bridge on a rocky nine barrages. With a roof offering an exquisite view of the port and the old remains of the city. Many of Lebanon’s prominent buildings were established during this period, and one place that stands out more than the others is Beit ed-Dine palace complex, which was built by Amir Beshir El-Shihab II. The ruler had also built other palaces for his children. With time, these were lost; only Mir Amin palace, which has been turned into a luxury hotel, survived along with Beit ed-Dine. Once through the gates, the palace leads to an open space that was used for cavalry training and celebrations, which were attended by the public. 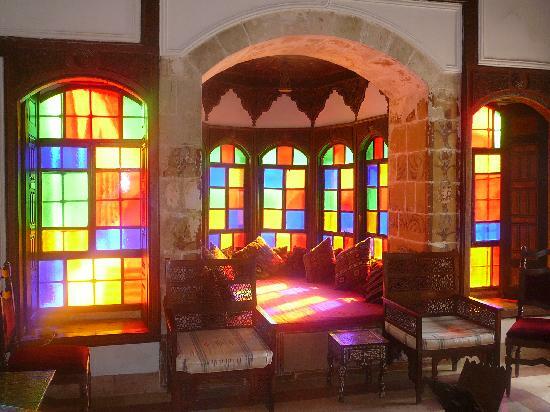 Nowadays, Beit ed-Dine is a museum showcasing Lebanon’s state during that period. It is home to a number of historical pictures, transcripts, and documents, including a collection of ancient poetry. With the start of the 20th Century, the people of Lebanon had a time of plight under the colonial French Mandate. During this period colonial architects had seen the rapid modernization of Lebanon, especially Beirut. New buildings were erected signifying the coming of a new era. 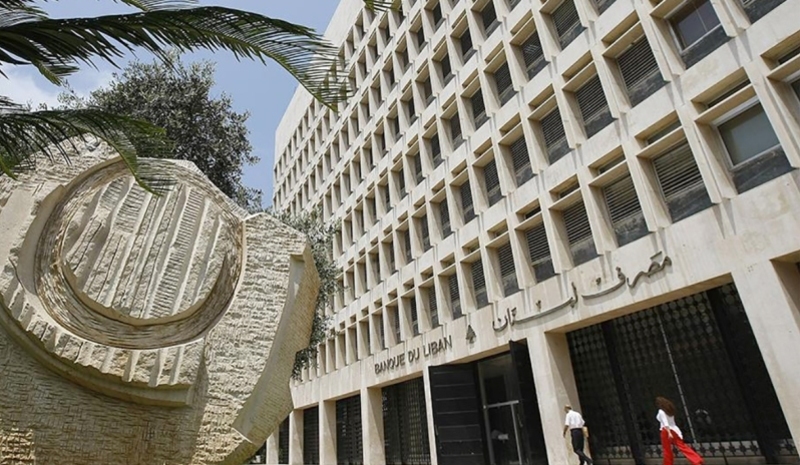 These would include the Central Bank of Lebanon designed by Swiss Architect Addor et Juilliard, Andre Wogenscky’s design of the Lebanese University, and the Ministry of Defense building designed by Maurice Hindieh. 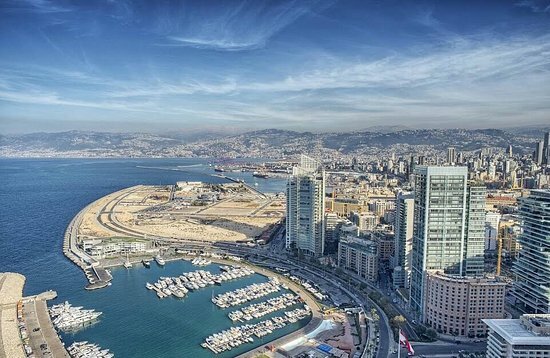 The 21st Century has seen a myriad of contemporary architecture projects sprouting all over Lebanon; these would include the New Beirut Souks, Hariri Memorial Garden, and Zaitunay bay. Contemporary architecture elements were merged with older concepts to give rise to some of the finest buildings in the world. WE SAID THIS: While we’re still on the subject of design, here are Arab Interior Designers You Need To Check Out!